Z-Uno is the first and only easy to use way to create your own Z-Wave device and improve your Smart Home. Z-Uno is a fully DIY product. If you want to expand your capabilities and have no limitations of ready-to-go commercial Z-Wave products, Z-Uno is just what you need. 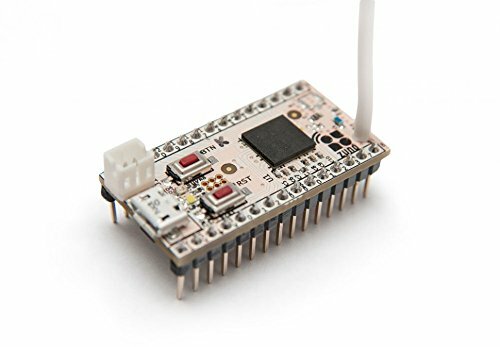 Connect LEDs, buttons, switches, motors or any low voltage sensor including most of Arduino compatible sensors. Program your Z-Uno by writing a sketch in simplified C language and load it into Z-Uno using Arduino IDE. Many examples and comprehensive tutorials will help you to make your own project. Being Z-Wave Plus certified Z-Uno is the perfect companion for you RaZberry gateway as well as other controllers. Note that this version of Z-Uno is made for United States, Canada, Argentina, Israel, Mexico, Caribbeans and South America (excluding Brasil). Other frequencies are available.